The Mill Theatre is located in the prestigious Dundrum Shopping Mall in south Dublin and is designed around a variety of site levels on which the building is located. The entrance from street level leads to a staircase and large atrium space which decends to the foyer reception area. 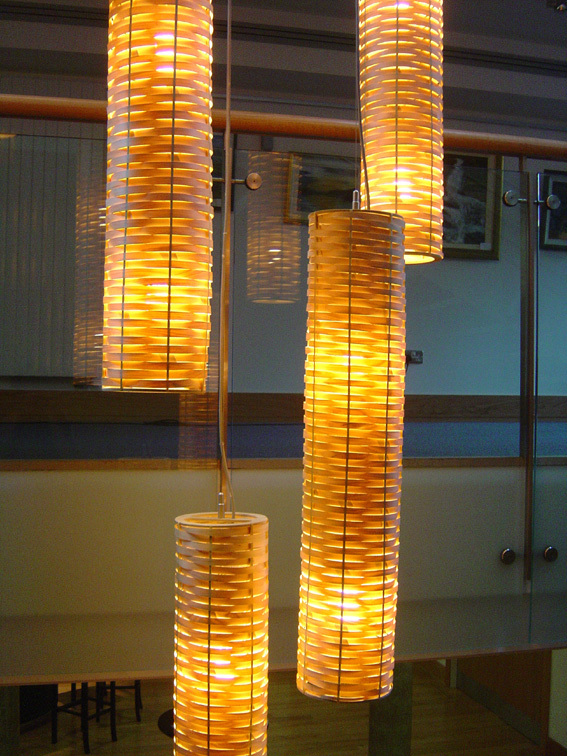 We were commissioned in July 2006 to design a large installation for the foyer using our Lightweave Cylinder Pendant lampshade. 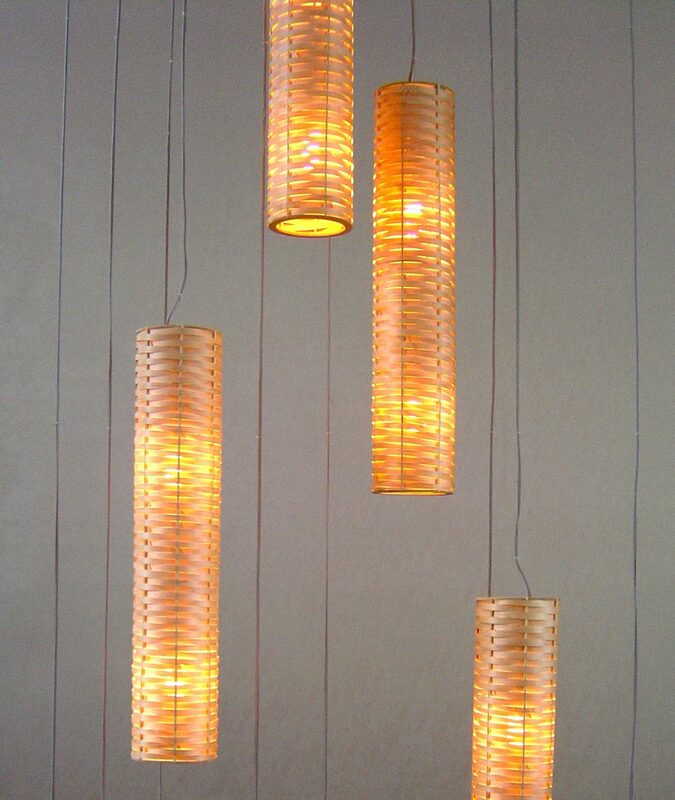 A problem in such a high space was not only installing the shades but also changing bulbs. We designed a custom made, large powder coated steel plate and bracket system which was located above a specially located access hatch high up in the space from which each fitting could be hung and raised up to change bulbs. Another issue was the limited amount of natural light which could penetrate down to the lower floors of the space so a light, Maple veneer was chosen for it’s warmth and atmospheric qualities giving a special ambience in an otherwise subdued interior scheme.